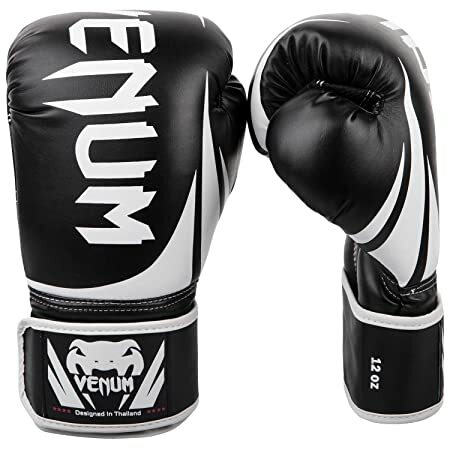 Venum Challenger 2.0 boxing gloves’ design focus on maximum protection to users. When fighters strike, their hands and palms are well-protected with Venum Challenger 2.0, whose design is a curved anatomical shape with reinforced palms and thumbs that are fully attached. The greatest part is affordable price tag and a wide variety of colors to choose from. 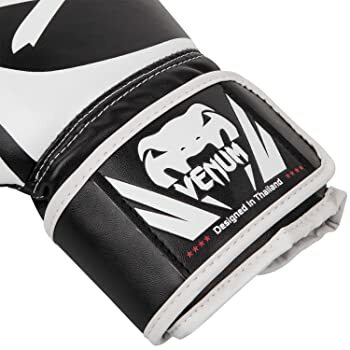 The Venum Challenger 2.0 boxing gloves are built for a great performance for the lightweight class of boxers and are fit for either beginners or advanced. This makes it ideal for all types of boxers; the beginner, the intermediate and the advanced. The martial art Venum Challenger 2.0 glove is built with technical expertise to make it one of the best gloves in the industry. The polyurethane leather that is used in the gloves construction offers not only a sleek and smooth appearance but also durability. The plastic in the hybrid leather ensures powerful punches as well as an easy to clean surface that is not easily damaged by liquids. The triple layered interior offers the ultimate shock absorption protection to the hands of the user which ensures less risk to injuries especially spraining or soreness to the knuckles. The Velcro wrist enclosure is combined with elastic allowing a perfect fit to any hand size that enhances the users safety further. The featured mesh allows aeration and acts as a thermal regulator which keeps the users hand dry giving the user long periods of comfortable training. The curved anatomical design offers a perfect and comfortable fit. The gloves are affordable but comfortable, and durable with an easy to maintain surface. The glove might be too tight fitting to some users making them feel small thus not meant for people with big hands. Despite the mesh, some users claim that the glove feels hot inside meaning the ventilation may not be adequate. Tie the hand wrap in the preferred technique, and insert the hand while using effort form the arm. Ensure the hand goes deeply in without leaving any space. Once the hand fits properly use the Velcro fastener to tighten the wrist securing it firmly and ensuring a perfect and snug fit of the glove. Maintaining boxing gloves requires airing after every game and if placed near a fan the better. 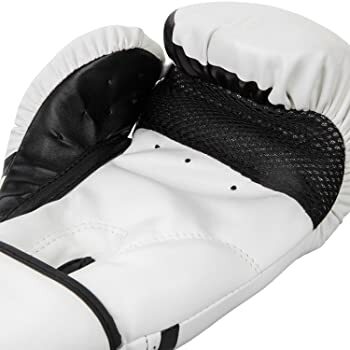 Ensure that the hand wraps that are used with the boxing gloves are always cleaned and dry to keep off bad odor and growth of bacterium which can result from sweat which is inevitable. Always tie the hand wrap in the correct but preferred technique thus ensuring the gloves remain intact. The Venum Challenger 2.0 is made of artificial leather offering a smooth surface that can be cleaned easily thus a little salt water can always be used when cleaning the gloves, in order to kill any lurking bacteria resulting from sweaty hands. Notable though is the fact that the material used in the construction of the Venum Challenger 2.0 is water resistance, making the cleaning and the drying process much easier. Always ensure a cleaned boxing glove dries off completely before using it for the next game or training. In conclusion, the Venum Challenger 2.0 boxing gloves durable, comfortable, efficient and affordable boxing gloves which are ideal especially for beginners. They offer a great amount of support to the users hand and fingers, and their impact absorption feature guarantees longer workouts without much soreness to the knuckles. With their price and the enhanced features, the Venum Challenger 2.0 is a great deal meant to offer a great performance. It might be one of your next best boxing gloves ever!